Is this day getting you down? 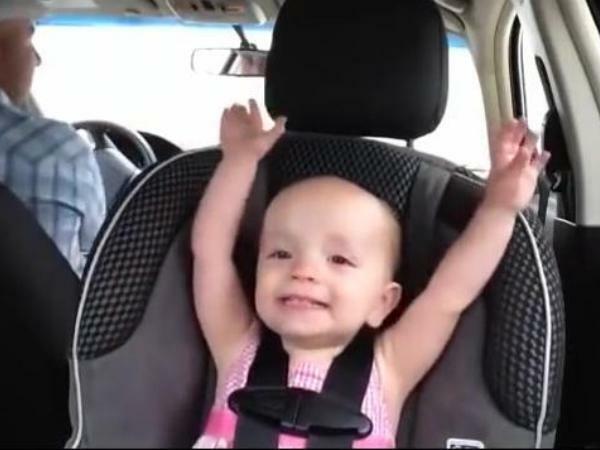 Take a quick break and watch this toddler sing an adorable rendition of an Elvis song. There’s so much emotion and joy on her little face, you can’t help but enjoy the music with her. Ella May’s dad, Billy, says in a comment on YouTube that she also enjoys other music. Of course this includes more Elvis songs, but she’s also a fan of Richard Marx and Bruno Mars. Since Billy posted the video on YouTube, various versions of it have been watched more than eight million times. If only we could all find so much joy in music! Perhaps the video serves as a reminder that good music can better most situations – even sitting in the back of a car with a limited view.